The “Nuestra Señora de la Asunción “Church, located in Ricla, was dedicated to ”Nuestra Señora de Mediavilla” some years ago. It is in the village center. It is a temple from the end of the 14th century, it is known that the municipal representatives from the village had started the procedures to built a new church at the end of the 14th century. In fact, at the end of November 1390 they got the permission to use the benfits they would obtain from the parochial visitors during the next 20 years. 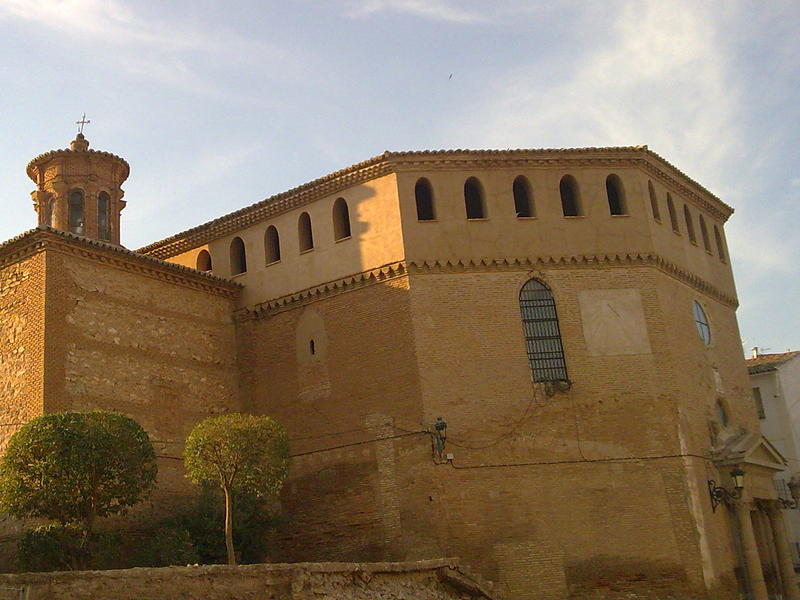 The Mudejar temple was built in 3 stages: at the beginnig of the 15th century an apse and the first part of the nave were built. During the 16th century it was expanded with another big part of the nave and two chaptels, the Mudejar tower was also built. In the 18th century it was expamded with “Magdalena” Chaptel in 1720, the inside was also decorated. Finally, in 1773, the current neoclassic arcade opes. It has got two classicist coloums in the sideways. They end with corinthian capital son which there used to be a friese containing the date “1773”. It endas up with a Triangula Focale. The outside of the church is made of cricks, only the “Magdalena” Chapel comes out. The temple was built in 2 stages, as it can be seen when we observe the lateral facade, where there is a delimitation between them. The inside contains important alterpieces.The main alterpiece was made between 1688 and 1692 by Francisco de Asta. The Wood polycromatic statue of the Virgin and of Saint Francisco de Asís, Saint Juan Bautista, Saint Isidro and Saint Bartolomé are from the 17th century. They were biult in Manuel Ramírez studio. One of the most important alterpieces is “La Virgen del Rosario” at the end of the 16th century. It was built in the studio of an important sculptor, Damian Porment. 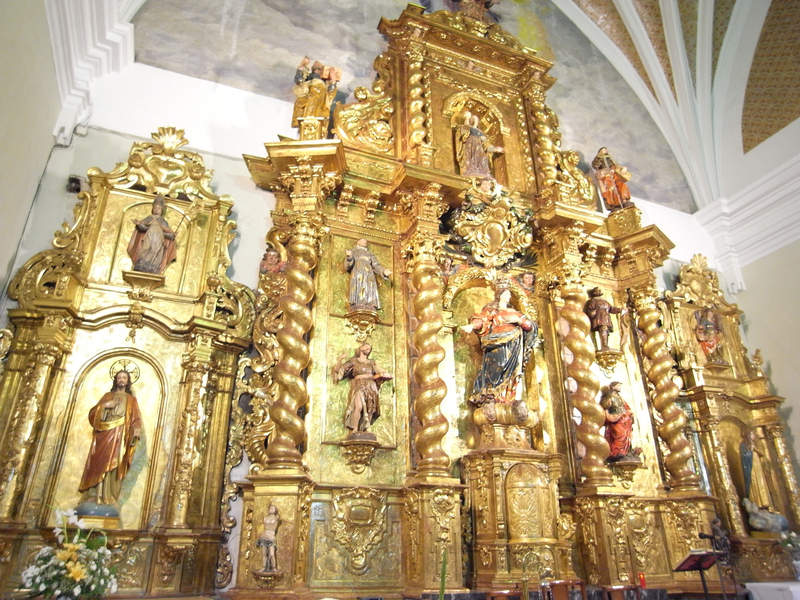 “San Miguel”, “Santa Ana” and “La virgen y el niño” and “El Santo Cristo” are other altarpieces from the 18th century. Other main belongings include “La Virgen de Media Villa”, which is a gold sculpture from the end of the 15th century. Apart form that, there is also an organ of the second half of the 18th century, which is decorated with a Rococo style. The church was declared a National monumento on the 3rd June 1931, and a property of cultural interest on the 30th November 2001.